In Canadian society, there is a common misconception that the public sphere by necessity excludes religion. The separation of church and state, the idea goes, demands that public money (ie, government money) should not be directed to religious institutions. Religion has no official place in a secular society. The legal reality couldn’t be further from the truth. The separation of church and state, after all, is an American ideal (it exists nowhere in the Canadian constitution). In fact, Canadian law specifically declares that our understanding of a “secular society” is meant to include religion. At least that’s what Iain T. Benson (lawyer, writer and lecturer; senior associate counsel of Miller Thomson LLP; and professor of law, University of the Free State, South Africa) argues in his recent article “‘Public schools’ should not mean ‘atheist schools'”. Too often we fall into a secularistic understanding in which the public sphere is described as “secular,” meaning “non-religious,” but this fails to pass the legal, practical or logical tests once we recognize that the public sphere is made up of religious and non-religious citizens. Legally, we are the first country in the world to have its highest court determine that our understanding of “secular” is that the public sphere includes religion and does not exclude it. The article is fascinating and well worth a read for anyone with an interest on the subject of Canadian religion (or law and the freedom of religion, for that matter). Aside from a big-picture discussion of the place of religion in secular society, Benson deals in particular with the subject of government funding of religiously affiliated schools – an issue that has been a bit more visible as of late since a Quebec court criticized the province for forbidding a private Catholic school from teaching a required ethics course from a religious perspective. I’m not particularly shy in expressing my admiration for the new hymnody/rewriters movement. Put simply, these worship musicians are reacting against the frequently shallow (and even occasionally unbiblical) theology of much of today’s contemporary worship. To that end, they advocate a return to the Church’s rich treasury of hymns, pushing also for the writing of new hymns. But (and here’s where they differ from what might be considered the normal “traditional” side in worship debates) they just as strongly advocate for the importance of new musical settings (guitars and all) for older hymns. In other words, they argue for the importance of using theologically robust and Christ centered lyrics. But they also want those lyrics to be made accessible to a contemporary audience through a musical “language” they can actually understand. [For a more in depth analysis of the new hymnody/rewriters movement, see my post “Worship Wars: Bridging the Divide”. Earlier this summer, the rewriter Matthew Smith wrote a guest post for Challies.com entitled “Confessions of a Failed Worshiper”. There, he recounts the events that led to his abandoning of typical contemporary worship music for new hymnody. He recalls that, when leading contemporary worship, he would always feel that he had failed to please God. After leading the music, I would sit down and hear a message, whose point was often that I needed to try harder. Try harder to be a “good witness” at school. Try harder to avoid temptation. Try harder to obey God. Somehow, the idea of trying harder carried over to worship. My repertoire consisted of praise and worship songs… mainly ones that talked about how much I wanted to worship God. I thought that if I tried harder, was sincere enough, and really meant it enough, that I would enter into a state of capital-w Worship. The world around me would fade away, I would lose my inhibitions, and I would achieve a spiritual state of being lost in worship. But this state of spiritual ecstasy never arrived. And, in my mind, there was only one person to blame–me. I was a failed worshiper. The good news of the Gospel of Christ finally broke in upon him when, while attending college, he was part of a campus group whose preaching was Christ-centered and whose worship songs consisted of hymns set to contemporary music. Over the following weeks, as I stood and sung these hymns and sat and heard the Word preached, I found myself intrigued, fascinated, and even offended. For the first time I heard clearly that life was not about me and how hard I tried. Every way that I had tried and failed to please God, Jesus tried and succeeded. And he didn’t do it in order to put me in His debt, or just be a good example for me to follow, or show me how easy life would be if I came up with the right strategy. He did it while I was dead in my sins. Everything that needed to be done was already accomplished at the cross, and the empty tomb meant true, lasting freedom for me. The lyrics I was singing were not about my desires and how much I wanted to worship God, they were about Jesus and His desires, and they gave specific and beautiful reasons why He was worthy of worship. The article is well worth a read. I commend it (and the idea of new hymnody/rewriting) for your prayerful consideration. 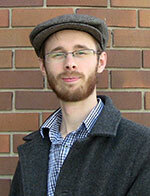 You can visit Matthew Smith’s website here. I’m going through N.T. Wright’s book Surprised by Hope at current. That fact’s importance for this blog post is negligible, other than that in the process of critiquing the prevalence of Gnostic/Platonic on the subject of death among today’s Christians, Wright points to the Incarnation as the fundamental answer to such heresy. In the Incarnation, God becomes man; the Divine takes on physical and literal flesh. This isn’t exactly a new idea. In fact, it’s ancient. If we look closely at the first chapter of John, it becomes obvious that the Gospel-writer is deliberately engaging with Platonic philosophy. Plato taught that the physical world (and human words) were bad copies of a true spiritual reality that only existed in the mind of God (call it the divine Word if you like). As such, he taught that people should withdraw as much as possible from the physical world. But John has that true spiritual reality – God himself, the true Word – enter into the world. He becomes flesh. He meets a broken creation and its people where they are – in the physical, literal world. God’s brings us his mercy through the Incarnation. But the more I sit and think about the Word-made-flesh, the more I realize that this type of incarnational mingling of the divine with the earthly is characteristic of God’s interactions with humanity. From the beginning, God chooses to address Adam in human language (a language that Adam himself had helped create – Gen. 3:19-20). In the process, he fills that human language with the same mighty Word that spoke creation into existence: God’s Word in human words. Likewise, during the writing of the Scriptures, God infuses his Word into the words of human authors, utterly mingling them so that any given point we cannot say “this is of Paul” or “this is of Moses” without at the same time affirming that “this is of God.” God’s Word is made incarnate in human language, perfecting what is mortal by the indwelling of what is immortal. Turning to the Sacraments, we see the same divine presence filling earthly objects. In Baptism, God’s grace indwells the waters as the Holy Spirit is bestowed upon the recipient. Likewise, in the Lord’s Supper, Jesus’ very own body and blood are made manifest in, with, and under the bread and wine. These mortal elements cannot be separated from the divine. On their own, the water, bread and wine are merely physical. But when joined with the Word of God, these earthly things are joined with heavenly and become utterly indivisible. The Spirit’s presence in the life of each Christian can be understood in a similar vein. The Holy Spirit enters our hearts and brings our wills in line with his – and he never departs except that we, by exercising our own will apart from his, reject him. So long as we remain in Christ, he remains in us, His Holy Spirit inextricably indwelling us. Even in justification itself, the same process is at work. The righteousness of Christ is imputed to us and covers over our human unrighteousness. We become simul iustice et peccator – at the same time righteous and a sinner. We are Christ-covered and yet remain very real and very flawed humans. And that humanness, though it is in at the current time a constant source of sin and frustration, will finally be perfected in the resurrection of the dead. Our broken human bodies and our broken human souls will be raised perfected and imperishable, the process of our current sanctification finally being brought to completion. In the meantime, God brings us grace in the present as he works through human beings, as we (by God’s action in us) carry out the vocations he has given us. Upon such short reflections, it becomes clear that the mercy of God is fundamentally bestowed on his people through incarnational means. God, knowing that we can never reach up to Him, reaches down to us. He makes his Word present in human words. He makes his Spirit present in water. He makes his own body and blood present in bread and wine. He clothes mortal people with the clothes of Christ, fills them with his Holy Spirit, and works through them to bring his grace to the world so that they remain fundamentally human while infused with the things of God. In short, God grants brings his heavenly mercy to our earthly realm. And I, earthly man that I am, nevertheless lift up my voice and, by the Spirit within me, thank God for such incarnational mercy! As a Christian linguist*, one of the things that particularly irks me is the failure of the Church (myself included) to be vigilant in ensuring that our witness to the world is an intelligible one. In our desire to preach the Gospel, we’re not always careful to make sure the language we’re speaking is a language our non-Christian neighbours can understand. In other words, sometimes we need to speak in other words. That concern lies behind my latest article for The Canadian Lutheran. In addressing the problem, I explore the story of Pentecost, Luther’s theology of translation, and the historical move from German to English in North American Lutheran churches. At the same time, I can only hope that my exploration of the subject speaks to readers where they are – that it speaks their language, as it were. (I’m sure someone in my congregation will be sure to let me know if I’ve failed on this point). To read the article, visit The Canadian Lutheran website and select the article entitled “Can you hear me now? : Evangelism for the 21st century.” While you’re at it, check out the rest of the July-August issue. In addition to my article, there’s some insightful thoughts on engaging youth in the life of the Church now (as opposed to at some ill-defined point in the future), a story on the 2010 LCC National Youth Gathering, a discussion of C.F.W. Walther’s take on the Confessions, and other news and views of interest. * I use the term somewhat loosely. While I’m not employed as a linguist, I do have a linguistics degree. 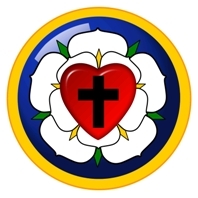 In the days leading up to the birth of the North American Lutheran Church, Lutheran CORE sponsored a theological conference entitled “Seeking New Directions for Lutheranism.” To that end, a number of high-profile Lutheran scholars (Robert Benne, Robert Jenson, etc.) were on hand to present papers on a number of subjects including the authority of Scripture, the name of God, and missions. David Neff has an excellent synopsis of the papers in an article with Christianity Today entitled “Facing Lutheranism’s Crisis of Authority”. You can also listen to the presentations in mp3 format at Lutheran CORE’s website here. The American Lutheran Publicity Bureau will shortly be publishing a book containing an extended version of each of the papers (the presentations at the theological conference were condensed versions of longer papers). A friend of mine linked this on Facebook earlier today. Basically, it’s one man’s rant about worship music. Among the things he criticizes are simplistic, repetitive, I-focused lyrics. But visit the site. The songs he’s “criticizing” might not be what you’d expect. Captain Thin is powered by	WordPress 5.0.4 and delivered to you in 0.436 seconds using 31 queries.